While East Fife made the most of Dundee United’s somewhat surprise defeat at Raith Rovers in Scottish League 1 South, Hibernian U-23 held a narrow lead over Celtic Academy in 1 South. 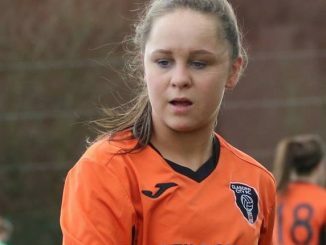 East Fife extended their SWFL 1 North lead by hitting hosts Inverness City for six, while second-placed Dundee United slipped up 2-0 at Raith Rovers, for whom Stacey Penman and Kerri Dinnel were on target. Aberdeen U-23s went third when edging Westdyke 3-2, Dunfermline Athletic defeated Deveronvale 6-3, Buchan went above Stirling University DS into tenth after thrashing them 11-0 away from home, while Cove Rangers won 5-2 at Dee. Hibernian U-23s still lead SWFL 1 South on goal-difference from Celtic Academy, having sunk Boroughmuir Thistle 7 -1 while the Hoops put three past Falkirk. Third in the table Cumbernauld Colts DS shared six goals with their counterparts from Rangers, Thistle Weir’s -1 result over Morton lifted them to fourth. Renfrew came through 2-1 at Blackburn United, Queens Park took the points against Westerlands 3-2. Ayr United’s 4-0 win over St Mirren sent them top on goal-difference in 2 West, with former leaders Kilmarnock U-23 having their match cancelled. United Glasgow scored five at Rutherglen, Bishopston went two better at Gleniffer Thistle, Pollok United had a narrow 3-2 win at Stranraer and Kilwinnning had a walkover with Dumbarton United. 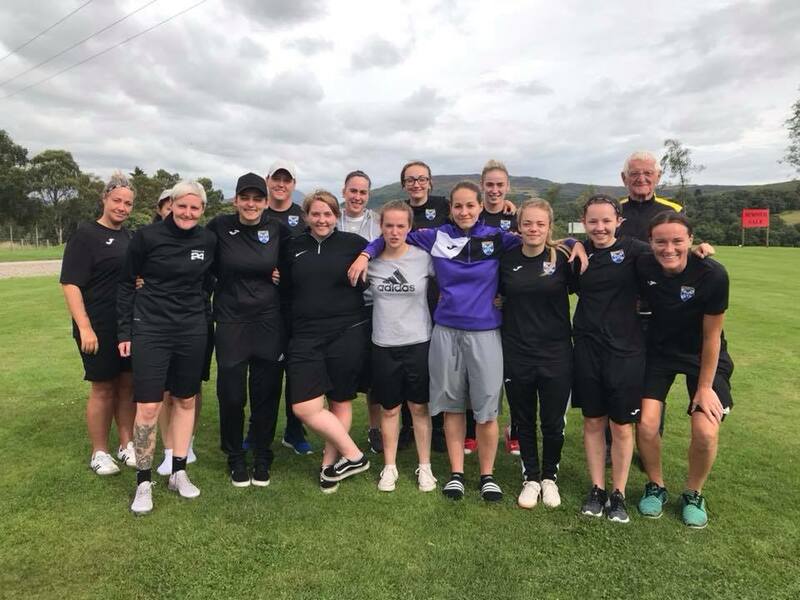 Stonehaven top SWFL 2 North following the award to them of the fixture with Turriff United, while Montrose stay level on points with a 2-1 victory at Moray. 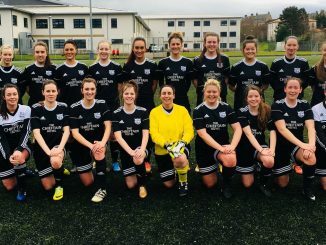 Forfar Farmington DS are up to third with a dozen goals against Buckie and Caithness’s second win of the season was an impressive 6-0 dismissal of mid-table Ross County. 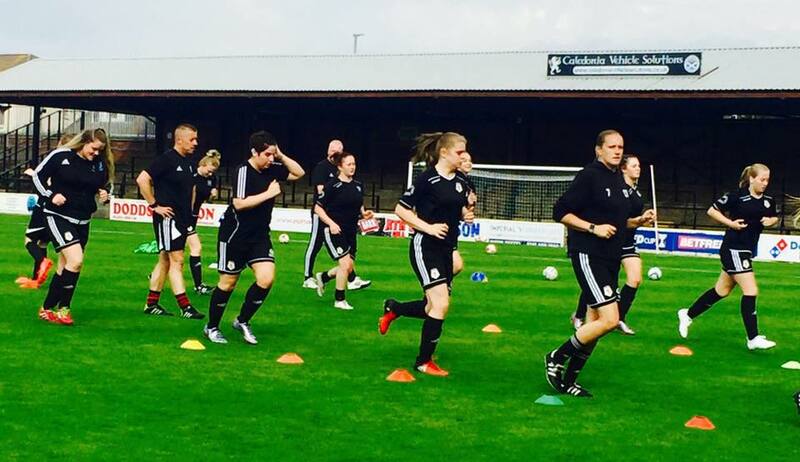 SWFL 2 Central top team Airdrie won 4-0 at Motherwell DS – one of four Development sides they lead in the table. 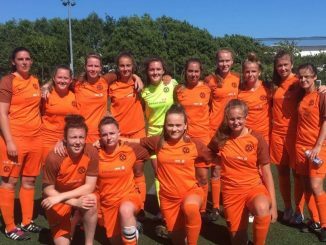 Glasgow Girls DS were given points at East Kilbride, Glasgow City DS didn’t play but Hamilton Academical U-23s ran out 4-0 winners over Hawick United. Spartans maintained a five-point advantage in 2 East, coasting home 11-0 at GIC Academy while Kelty Hearts won 7-0 at Jeanfield Swifts DS and Edinburh Caledonia beat East Fife Violets 4-1. Hearts DS leapfrogged Hutchison Vale DS into sixth by beating them 5-0 on the road, while Dryburgh Atheltic netted eight past a winless Lothian.